Gagosian has a clear-eyed, bird’s eye view on perhaps the most self-evident yet severely complicated relationship in modern art history. There’s talking about the art, and then there’s talking about talking about the art. Richard Avedon and Andy Warhol are both at the level where discourse engaging their work has moved well beyond text into the depths of the meta-text. With both primary sources eight feet under for more than a decade, the interest in their work and the discussion of this interest have not abated in the least. In some ways, it’s surprising that only now do we have a side by side examination of their work, courtesy of Larry Gagosian’s London exhibition. Owner and director of 15 international galleries, Gagosian is considered by many as the most powerful person in the world of high-end art dealing. He was in on the ground floor when both artists left advertising and fashion media to do their own thing. Avedon’s own thing launched a bit sooner than Warhol’s, but these two artists have been on the same page -- sometimes literally -- orbiting each other for at least 50 years. They are two of the brightest stars in the Gagosian galaxy, and the gallery smartly enlisted just two people capable of talking about them: Ara Merjian, art history professor at NYU who studies Italians by way of Nietzsche and Berkeley, and Michael Bracewell, British novelist and cultural commentator whose fans include Greil Marcus. 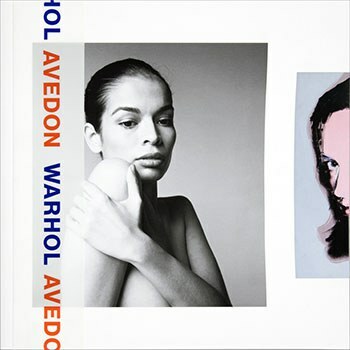 A lot of the published material on Avedon and Warhol suffers from a kind of supersaturation. Gorgeous coffee table books abound, but then either there are too many essays trying far too hard to say something new, or there are tiny captions that do very little justice to the context or significance of the work. The essays in Avedon / Warhol, however, offer a welcome relief in ways almost too numerous to count. For starters, Bracewell and Merjian are highly qualified for reasons other than their previous work on either of these artists. They have broader interests that can be brought to bear on the subject of these two artists, as opposed to so-called experts who have been trapped too long in the bubble of a singular subject to say anything fresh. In addition to the breadth of their knowledge base, Bracewell and Merjian also achieve sound critical distance. There's a tendency in these big picture books to lean heavily upon snippet quotations or less than scholarly reminisces from former superstars, people who sat for portraits, hangers on from the Factory, and so forth. Comparatively, these two essays have only a love of the art to provide critical impetus, nothing personal is at stake in the legacy angle of the art’s production or historical context. Perhaps most importantly, these two essays have not been reprinted from elsewhere; they consider the gallery show in isolation and with specific attention to its unique merits. Best of all, both essays treat the book not as a book, but as a gallery. It's so unbelievably rare for a book sprung from a gallery show to actually include essays that examine the construction of the show and not simply the scholarly potential of the artworks themselves. Though neither essay directly discusses the layout of the show’s different rooms, both essays are constructed in a manner that succeeds in performing a gallery walk. Bracewell and Merjian each employ a prose that is loose, lost in the labyrinth of detailed description, awash in the spontaneity of quotation, freely associative amongst a wide swath of popular touchstones and cultural marginalia, their enjoyment in the journey of connection and distinction fully evident in the disjointedness of their reflections, which hang casually together as only the best lived conversations during gallery walks can do. Avedon and Warhol have innumerable overlaps: obsession with celebrity, emphasis on portraiture, flattened images, materialism and commercialism, the function of pop. They have just as many areas of divergence: expression versus emptiness, politicization versus sanctification, staging and mixed media, the function of color. Warhol is perhaps somewhat more frequently discussed alongside Robert Mapplethorpe; even I myself recently took a look at that juxtapositioning. Gagosian’s exhibit, however, is arranged to make a crystal clear case for the better mash-up of Warhol with Avedon. There's one photograph that I love above all others: “Andy Warhol by Richard Avedon; August 20, 1969”. Bracewell and Merjian share my obsession, and I was beyond psyched to see it given such ample space for contemplation. Bracewell’s essays treats a variety of themes where the two artists criss-cross, ending on this one mighty collaboration. “Collaboration” is possibly the wrong word. 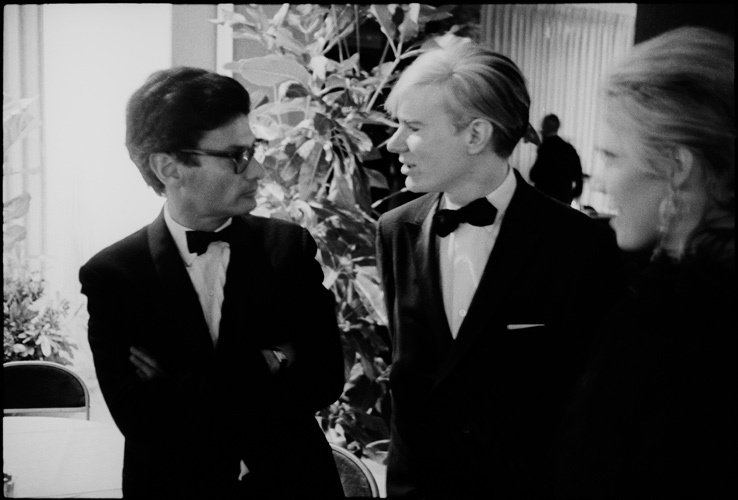 Warhol faced an assassination attempt 14 months before this photo; by most accounts, he was briefly dead. Avedon’s photo of Warhol’s naked torso -- bullet hole still evident, severe scarification in full bloom, support bandages tightly bound -- framed by Warhol’s trademark black shirting and leather jacket in stark black and white, is a testament to the trust and affection and worry shared between these two artists. Merjian picks up right where Bracewell leaves off, examining the historical and aesthetic significance of this one photograph, from its canonization of Warhol to the infinite layers of delicate art world baggage implicit in its echo. Avedon and Warhol represent some of the previous century’s best American art. Watching their separate timelines twist and turn over each other at the back of the book, color-coded in red and blue, is a real treat. The timeline ends up feeling like a capsule landscape of the many travails and consternations of Pop Art. Gagosian certainly has a clear-eyed bird’s eye view on perhaps the most self-evident yet severely complicated relationship in modern art history. How wonderful to document Avedon / Warhol in a manner that does justice to the London exhibit, for the sake of posterity as well as those of us who couldn’t get to London to see it ourselves. The experience of it on these pages is quite full.